New York City never seems to disappoint for those of us with an insatiable appetite for the arts. 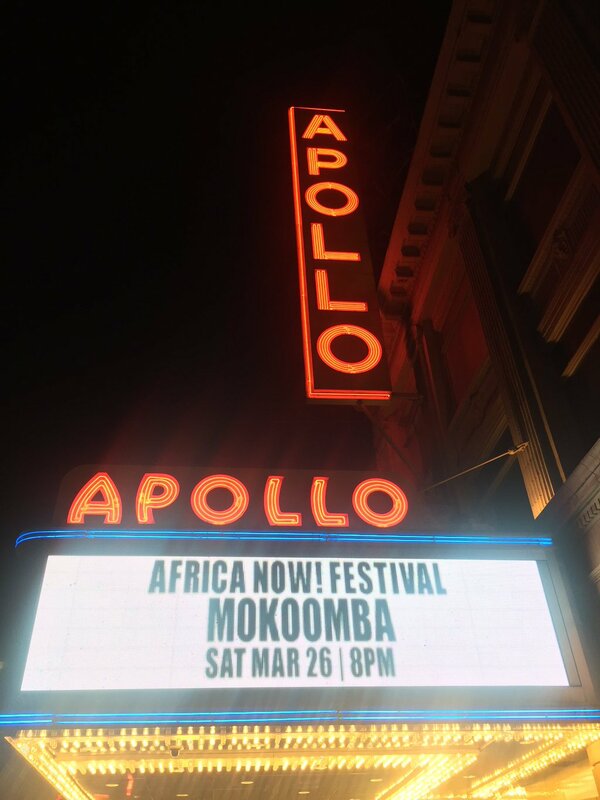 This past Saturday night was no exception, as all roads lead to 125th street in Harlem; the famed Apollo Theater for the Africa Now Festival. 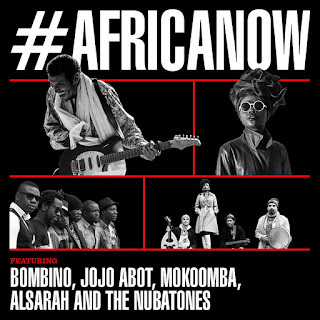 The house was packed with a rich blend of races and cultures ready to immerse themselves in the music from the featured musicians - Bombino, Jojo Abot, Mookomba, Alsarah and the Nubatones. The almost 3 hour show was hosted by Sahr - an amazing talent who played Fela Kuti in the Broadway play. As each group took to the stage, they took the audience on a musical and cultural journey that left the audience captivated. As you may know I am Zimbabwean so you can only imagine how thrilled I was to see my fellow countrymen onstage representing our rich and diverse culture. So who is Mokoomba exactly? Well, the group is comprised of 6 young Zimbabwean men originating from the western town of Victoria Falls. Their style is a fusion of the local Zimbabwean “Jit” sound merged with “Soukous” which originated in West Africa. 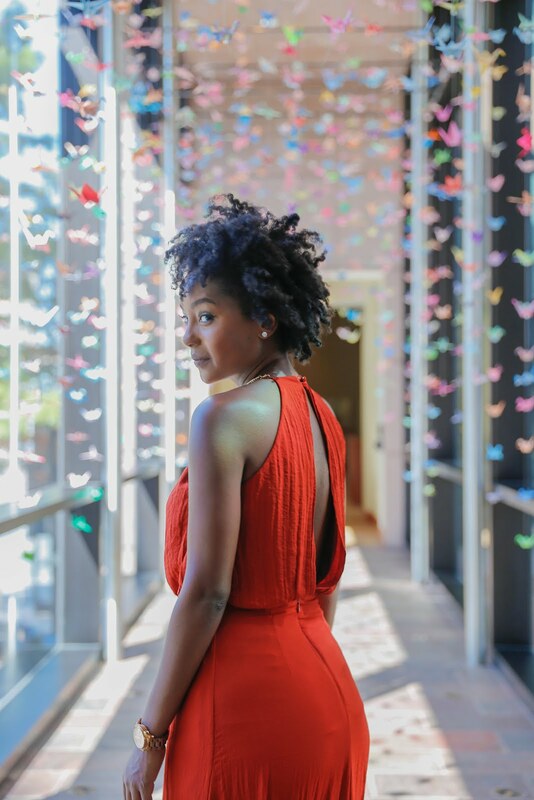 They flex their musical prowess on each and every song they perform- singing in a variety dialects that are native to the west of Zimbabwe like Nyanja and Tonga. As the stage hands prepared the set, there seemed to be an excitement about the audience as they waited for the group to take the stage. Prince Nico Mbaga's hit tune “Sweet Mother” was playing in the background and served perhaps as foreshadowing to what was to follow. After a brief wait, the group hit the stage led by a tall slender fellow in a colorful shirt and a fedora hat. What followed was not anything that could have been guessed by the unassuming audience. The lead singer's voice split the Apollo with such power that it sent the audience reeling from it's shrill and high pitch. It was a pitch that evoked the great Salif Keita and it's echo struck the core of every nerve in the room. The lone slender figure under the illumination of the stage spot light surely could not have been the source of this vocal force? Standing still, arms spread apart in the manner of “Christ the Redeemer” looking over Rio de Janeiro, Mathias Muzaza poured out his heartfelt vocals over the mesmerized crowd. Without resistance everyone seemed to succumb to his vocal spell. Some did not understand a word coming out of his mouth yet they felt a sense of attachment to the song. It was clear as day to everyone listening that this man's voice is an instrument. The band played a couple of songs from their current album “Rising Tide” and each song throughout the 30 minute had us on our feet. It was hard to resist the rhythm and sound that had lodged itself firmly in our hearts. The final song by Mokoomba hit it's peak when the group collectively began to perform choreographed trance like dance moves. 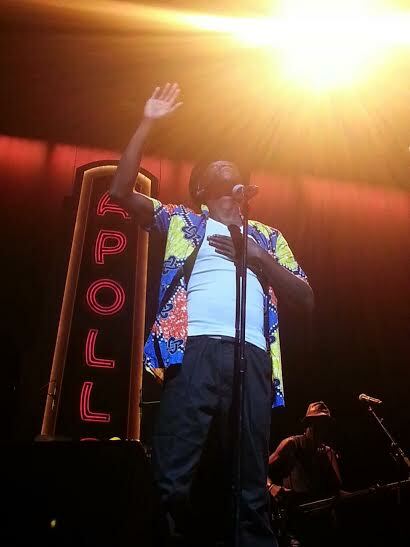 At this point, it was clear Mokoomba owned the Apollo. It seemed as if they had unleashed the rebel in every audience member as inhibition and caution seemed extinct like social graces. The audience forgot who and where they were for a moment. 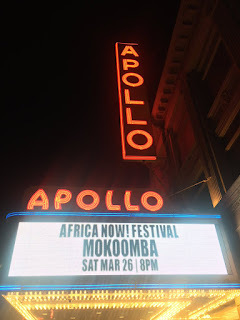 The last drum brought the performance to an abrupt end and the audience exploded with applause and whistles as the Mokoomba ran off the stage like assailants into the night. It took a minute to gather ourselves after Mokoomba had disappeared behind the stage curtains. All of a sudden, it felt as if the room was alive as everyone had worked up a thirst they did not know existed deep within them. The whole place seemed to be bursting with energy as patrons headed to the bar to pick up a beverage or perhaps walk off the adrenaline running in their veins. Mokoomba proved that they can hold their own on any stage. Watching them work the crowd and weave a delicate musical quilt was a site to behold. Seeing them in their element - it was clear that the stage is where they belong. Make sure to catch them while they are in the US, their show is worth every single penny.